Roulette is probably one of the first games coming to mind when thinking or talking about gambling. It has always been popular among players at a land-based casino, and now everyone can be amazed by its growing popularity online. The game is very entertaining and really bright. However, not everyone knows how to play online Roulette, even despite its wide popularity. An average payout percentage of Roulette online is 95-98%. It means the game has one of the best odds in online gaming. Regardless being a newbie or an experienced player, anyone will find lots of beneficial things when playing Roulette. There are plenty of betting options to choose when playing that game. And whatever you choose, you should learn some basic tactics and tricks. That game is something you can sit and enjoy, and learn at the same time. Fortunately, you do not have to spend hours watching and learning its rules and tricks. The Roulette is associated with men and women wearing suits and fancy dresses and standing around the table. Of course, as you play online Roulette, you don’t have to look like that and can enjoy your experience from the comfort of your home, office or wherever you have an internet connection. There appeared lots of Roulette games within the years of existence of that game. Most popular versions of roulette are American, French and European online roulette. Nowadays you can easily find all of them at almost any online casino, but keep in mind that the rules are different in these three types of roulette. American roulette has the same pieces as the European one but has an extra 00 piece. That’s why there is a higher house edge in this variant of roulette. You can find it at almost any online casino, but it still is considered to be the least popular among all the variations. It is a Vegas-style classic game. Its house edge is a bit higher comparing to other variations. The existence of double zero increases the house edge to 5.26%. Along with that, the payouts are huge. The wheel in European roulette has numbers from 1 to 36, half of them are red and another half is black. There is also a green 0, that’s why players have 50/50 chances of hitting both red and black. 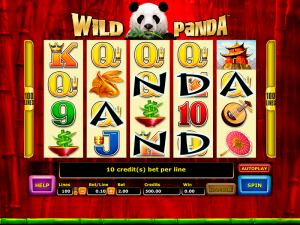 You can also find it at any online casino, as well as American Roulette. It’s obviously more popular than the American one. The house edge is 2.7%, while it doesn’t contain an extra double zero. It means that European Roulette has higher winning odds. French roulette table is different from European and American tables. The bets and odds are similar, but the numbers lay out in a different way on the board. That changes the way of betting, multi-number bets are places with the help of putting your chips on the line between numbers. In other aspects, French roulette is the same as European one. The game was created in the 18th century. It can be a little bit rare in online casinos. As well as European roulette, it also contains one zero. There is a “La Partage” rule which entitles a player to keep his bet in case the ball lands on zero. Such a rule as “En Prison” lets you win your bet back in case you made a bet on odds or evens, and the ball also landed on zero. There are several theories concerning the origin of Roulette, while no one knows when exactly it was invented. According to the official theory, it was invented by Blaise Pascal in 1655. At that time he was taking the retreat in a monastery. According to another version, Dominican monks created the first roulette on the basis of the old Tibetian game. The third theory says that some random monks created that game after getting bored at the monastery. However, the first country, in which real roulette was played, is France. Do you know what does the word “roulette” mean? It came from French and means little wheel. After it gained popularity in France, the game was spread to Canada, England and all over the globe, and nowadays it’s loved by gamblers all around the globe. 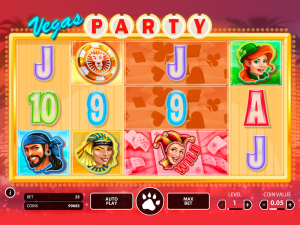 Play Roulette online is not complicated at all, while it’s a game with very understandable and simple rules. Your luck in that game is an anticipation and strategy combination. Over its history roulette has become probably the most widespread and popular games both at land-based and internet casinos. But since the technologies are improving near daily, mobile casinos become more and more widespread and users can play roulette wherever they are, while almost all the mobile casinos provide roulette among their games nowadays. Different casinos render different variations of that game, so you can try and choose your favorites at the best online casinos. 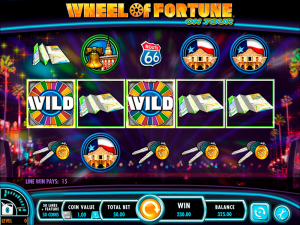 In fact, play online Roulette is a lot of fun. Since it’s a game of chance, there is almost no way to increase your chances to win somehow, but there are particular strategies and offers which would still help you enjoy your game to the fullest when playing with free money. Before starting to play online Roulette, make sure to learn all the betting rules. It would be good to set some limits for your online Roulette losses and winnings, and soon as you manage to control them, go ahead and break the limits. The rules in Roulette are very straightforward. It won’t be difficult for anyone to learn the basics of that game, and it’s very easy to remember all the betting options. There are two bets types actually: inside bets and outside ones. The outside bets have higher occurring odds, but along with that, they have lower payouts. Online Roulette has a wheel spinning around with a small silver ball whirling along with the wheel. Before starting the game, all the players make their bets on the numbers and colors they hope the ball will land on within the next wheel spin. Place your bets. With that command, all the bets will go on the board. When you play online Roulette, you use the mouse for moving the chips you wish onto your virtual board. You have a wide choice, whether to go for a certain number, a group of them or all the odd or even numbers. Or you can simply bet red or black. The ball is being released and the wheel starts spinning. As soon as the wheel slows down and is going to stop, the ball is going to rest on a number. If that’s your number or your color, you win! After you win, choose to leave your winnings on the table, it is called “letting it ride”. If you “let it ride”, you get even more after the game starts again. The moment you get acquainted with the rules, you can create your own strategy in order to increase your chances to win. 1. Start with small bets. As long as you practice a bit in a free game, try your luck by placing real bets. But it’s very good to start with the smallest bets. Make a little investigation and find an online Roulette with the lowest bets and with the highest maximum bets. When you start betting small amounts you still have a possibility to double your losing bets. 2. Make outside bets. Such bets have lower payouts, but there is a big chance of their occurrence. Thus, if you do not have a rich experience, such a bet would be the best for you, while the wagers are of the low risk. 3. Set the limits. That’s a pretty good option available at most casinos. The moment you reach your limit, the casino doesn’t let you betting anymore, so you will not bet more than you afford. Most casinos offer both free and real money online Roulette modes. When you play a game for free you do not bear any risks and don’t lose anything. That’s a good way to get acquainted with the rules and practice various strategies before starting to play online Roulette for real money.